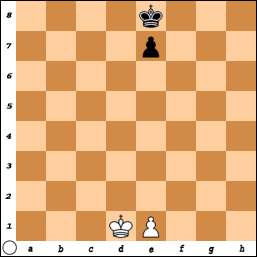 Let us say that I input a wrong move in Stockfish. What answer will Stockfish send me back? Or is there a function to check if a move is bad? People, I found a solution by myself. You could update the game each move with Chessnut, and only pass moves to Stockfish for evaluation if Chessnut says they're valid. Sorry, I had to downvote your question, because you tried something that you weren't supposed to. Stockfish is a chess engine; it always and always assume a move given is legal. If you give it an illegal move, the behavior is undefined - from a crash to jumping king. Anything could happen if you give a move as illegal. Nobody would use an engine to verify a move's legality. This is done by the GUI. You'll need to incorporate a move generator into your project. I have found through self experimenting what was the best choice. I send the pgn of the entire game each time. Then I send the pgn minus the last move. If they are the same, that means that the last move wasn't correct at all. If they aren't, the move is correct. This works because I use the same depth for both tries, and therefore the answer must be the same. Hope it helps! It doesn't seem Stockfish says anything. If it's illegal, it doesn't seem to accept it, and a suggestion is generated on a board without that move. What is the Elo rating of Stockfish version that played AlphaZero?